Disk performancefor SATA has improved from 68 MB/sec to 84 MB/sec, while FC/SAS has gone from 125 MB/sec to 194 MB/sec, a modest improvement similar to per disk channel speed in the case of FC and SAS, while SATA has improved only about 24 percent.... I generally use hdparm to test the speed of disks in Linux. The command I use is: hdparm -tT /dev/sda. This quickly tests the throughput, but I thought I�d share another method which actually puts more strain on the disk. If you need speed and transfer rate, SCSI is a good choice, and SAS even better. If capacity is your main concern, SATA is a better option. 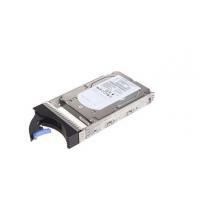 For price , SATA is once again king based on a pure specs-to-cost ratio, though for a mix of speed and cost, SCSI drives can be very affordable as well. SAS and SATA disk drives each support the 3Gb/sec SAS interface speeds, while FC drives currently (or will shortly) support the 4Gb/sec FC interface speed. A key design concern is that disk drives with SAS or SATA interfaces won't plug into FC sockets or vice versa. In addition, SATA disk drives may deliver 1.5Gb/sec or 3Gb/sec speeds, but they're compatible with 3Gb/sec SAS sockets. Calculated IOPS for this disk: 1/(0.003 + 0.0045) = about 133 IOPS It�s great to know how to calculate a disks IOPS but for the most part you can get by with commonly accepted averages. Of course sources vary but from what I have seen.